Borrow someone else's CSS class names from a CSS framework. Writing your own CSS can be a rewarding experience. I can often solve layout problems with just a few lines of CSS. My concern, however, is maintenance. What starts as a one-time CSS "fix" (or hack) for a layout often turns into a copy/paste exercise replicated at least a dozen times, with each page using some of the same CSS and some different CSS. Then what? Do we create a separate CSS file for each Fluid page? Do we refactor common CSS, moving similar code into a shared library? Create a "reset stylesheet" to fix everything Bootstrap broke. Yes, you read that last line correctly, "... fix everything Bootstrap broke." Please don't misread this. 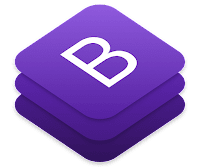 There are many developers successfully using Bootstrap with PeopleSoft. But here is the problem: Most CSS frameworks directly style HTML elements. This is actually good. Developers call this a "reset" stylesheet. What makes this a problem for PeopleSoft is that PeopleTools ALSO applies CSS directly to HTML elements. PeopleTools includes its own reset stylesheet. In a sense, we could say that Fluid is a CSS framework itself. The end result is a mixture of styles applied to HTML elements by two competing and complementing CSS frameworks. I call this "Fluid-strap." Consultants work around this problem by creating a reset for the competing reset stylesheets — a reset for the reset. The key difference is we don't have to create a reset for the reset. The Oracle JET stylesheet silently loads into a PeopleSoft page without changing any styling unless specifically asked to style an element through the element's Default Style Name (Style Classes on 8.56) property. Consider a PeopleSoft page built with 4 group boxes aligned horizontally as demonstrated in the following screenshot. Several years ago, I read the book Test Driven Development by Kent Beck. In that book, Kent identifies the first step of each project as the hardest step. Why? Because each new project contains significant uncertainty. Software development seems to involve a lot of unknowns (if the solution was known, someone would have created it, automated it, and published it). His advice? Start with what you know. You start with what you know and work torwards what you don't know. This is how we teach Fluid at JSMPros. Your developers understand Classic development and we use that knowledge to springboard students into a higher level of Fluid understanding. If you are ready to take the Fluid challenge, I encourage you to register for one of our monthly Fluid classes at www.jsmpros.com/training-live-virtual. Have a group of eight or more developers? Contact us to schedule your own personalized Fluid training event. Thank you Jim. This is really helpful.